We’ve seen the ads across a couple of cities, with some flyers including all of the above deals, but other locations only supporting certain products. 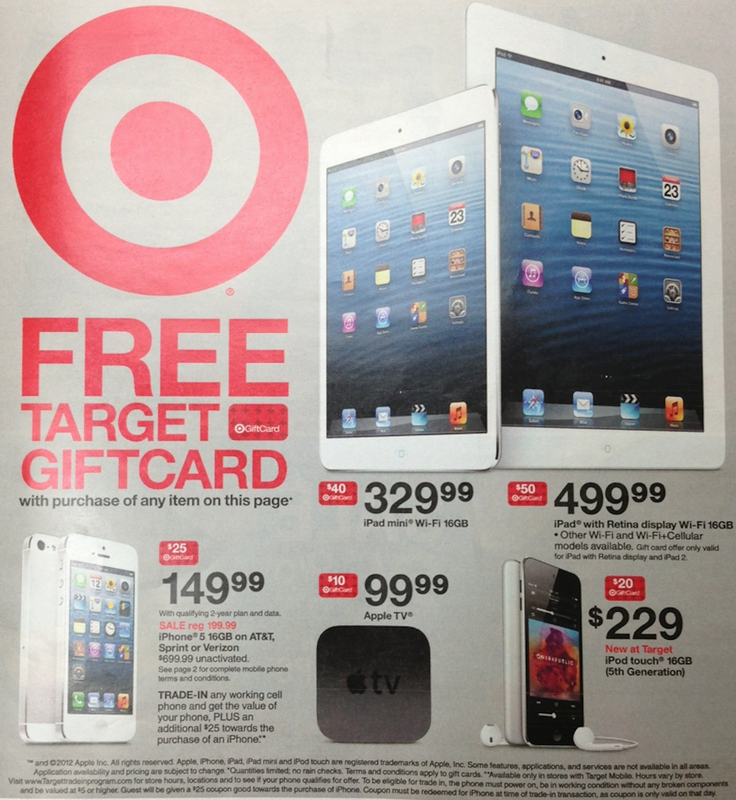 For instance, one local Target ad is only promoting the aforementioned iPad with Retina Display, iPad mini, and iPod touch 5th generation deals. It is best to contact your local Target store to confirm the deals that your location supports.